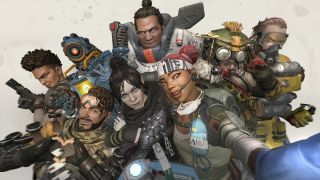 Respawn has banged the swift hammer of justice once again, hardware ID-banning (HWID) a number of Apex Legends players on PC, including one prolific cheater who was banned again and again as he attempted to bypass the bans live on Twitch. As shared on ResetEra and Reddit, the cheaters have been turning to forums for ways to bypass or remove the hardware ban that bans not just accounts, but also the very hardware running them. Changing IP addresses and other such "fixes" are not effective, as the HWID code is unique to your computer's hardware. "I am HWID banned," lamented Chunk. "Can anyone help and let me know what I can do to bypass this so I can play normal. 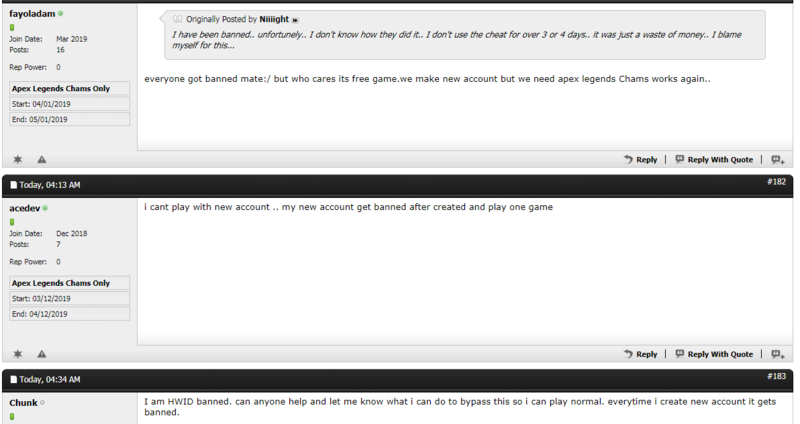 Everytime I create a new account it gets banned." Another Redditor posted moment-by-moment live updates of a streamer taken down on livestream, chronicling the cheater's taunts and jeers right up until he gives up and switches to a fishing game instead. Sadly, we're unable to watch the events transpire ourselves as the streamer shortly deleted all of their archived videos. Respawn banned over 355,000 cheaters on PC last month, confirming it was scaling up the anti-cheat team, and also planning to add a report feature that will go directly to Easy-Anti-Cheat. "The service works but the fight against cheaters is an ongoing war that we’ll need to continue to adapt to and be very vigilant about fighting", Respawn said at the time. "We take cheating very seriously and care deeply about the health of Apex Legends for all players."